Is This The Next Motorola Droid? Well, well, well, look who's back? After all the Motorola-Google drama, it looks like a new Droid is on the way. 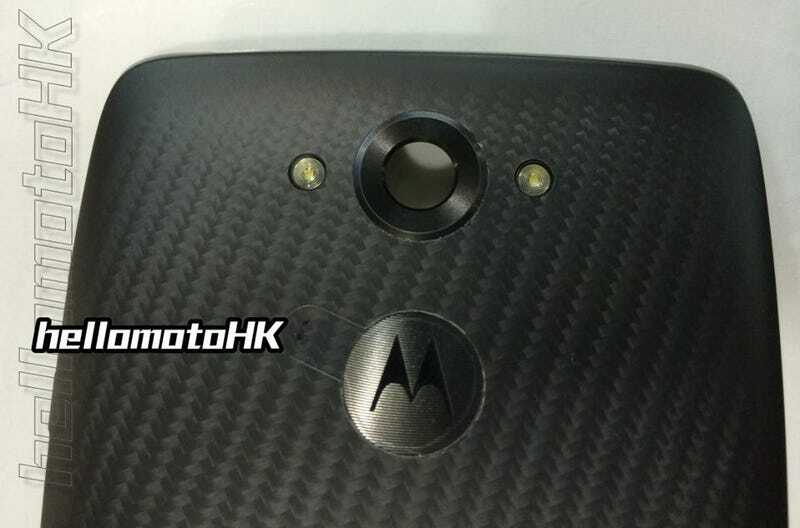 The usually reliable Hellomotohk has shots of a brand-new Motorola handset, and it doesn't appear to be a China-exclusive phone. Just look at those clear Verizon and Droid logos below, indicating likely U.S. availability before long. Plus there's this tweet from Verizon to back up the story. The last time that Motorola was building product for Verizon, its poor Droids got overshadowed by the awesome Moto X. But now, from the looks of things, this phone is taking its design cues from the new Moto X—like pretty much exactly. The 5.2-inch screen, front-facing speaker, and dual-LED ring flash are all present and accounted for.